Being newbies, we weren’t sure what to expect. Luckily, there is a selection of mixed plates, and hubby chose the standard mixed plate ($16.50). The mixed plate came with hummous (Jasmins’ spelling), baba ghannouj, kafta, shish kebab, chicken, falafel, kebbeh and tabouli. 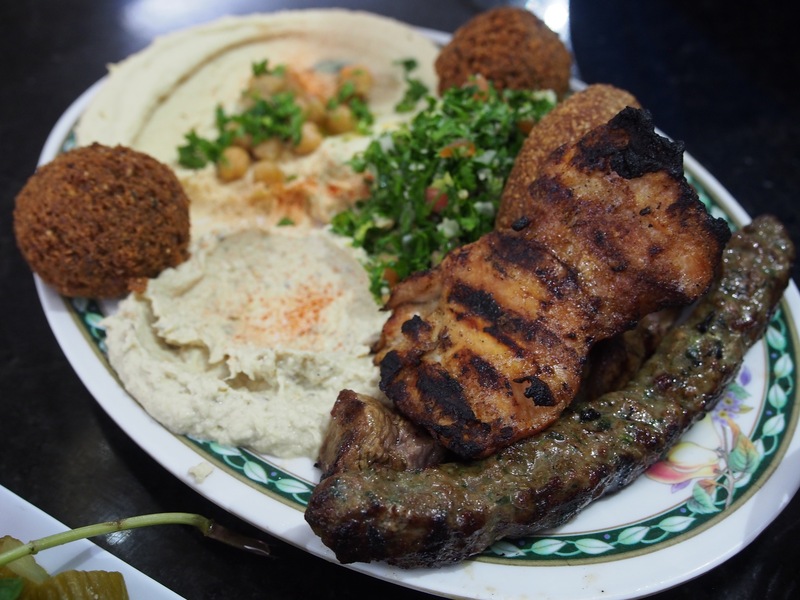 The kafta (or kofta) is the long grilled skewered meat patty. I helped myself to most of the baba gahnnouj (eggplant dip), there was so much smoky, mellow flavour. Every morsel on the mixed plate was delicious. The main come with a mixed plate of pickled salad, chillies, olives, tomato, a raw onion and mint. 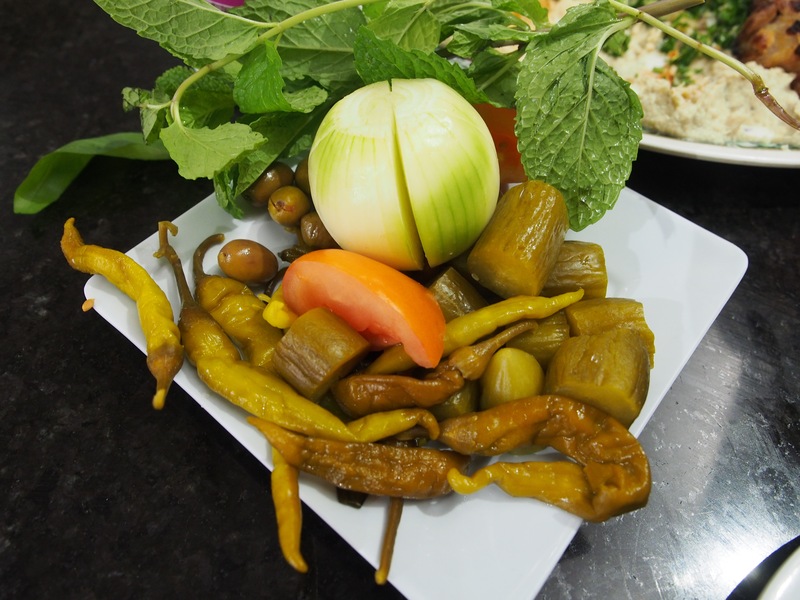 BL loved the pickled chillies; I stuck to the pickled cucumber and olives. 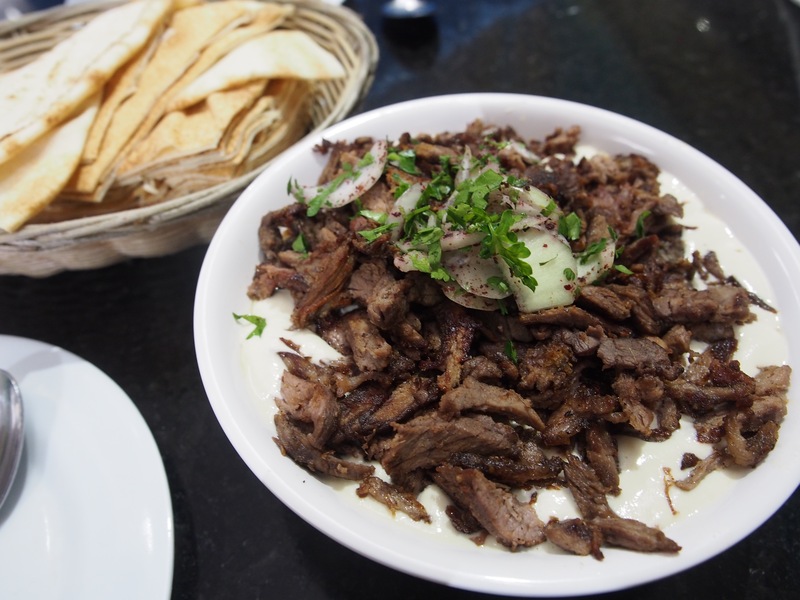 I went for the fateh and shawarma ($11) to be mopped up with warm, thin quarters of pita bread. For my introduction to fateh, this was hummus with texture, whole soft chickpeas and crunchy pine nuts with the tangy yoghurt. The lamb pieces was flavoursome and very tender. 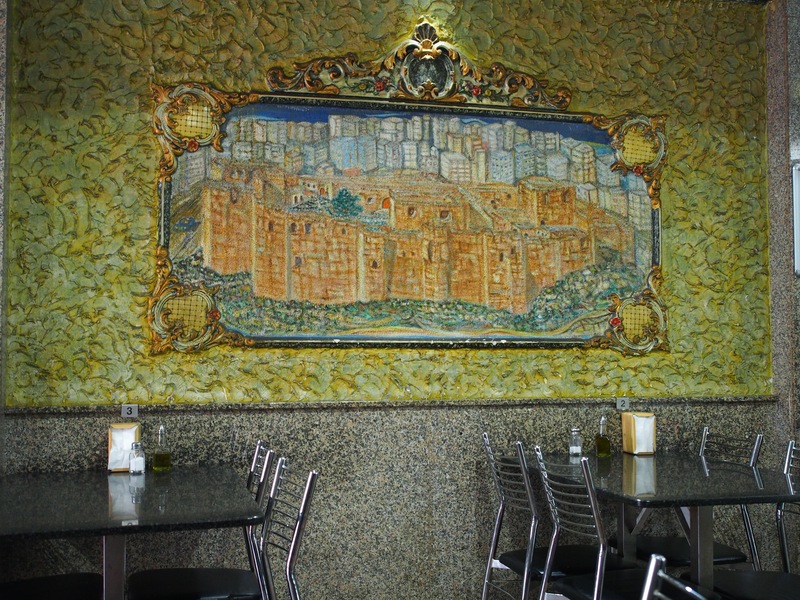 Jasmin is also tremendous value, the two dishes were huge and we could have easily shared the mixed plate between us. 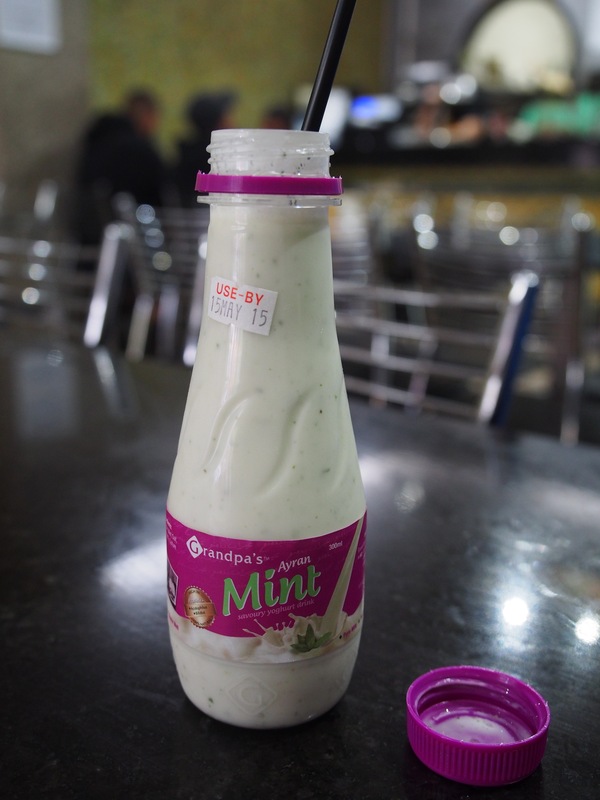 We threw caution to the wind, and ordered a serve of mint yoghurt drink. I could not get used to the salty yoghurt drink, it was odd to taste savouriness when your mind expects something sweet. Overall, it was a really delicious, eye-opening experience, and something I look forward to experiencing more of. For afternoon tea, we read that Abla’s Pastries is renowned for making some of the best Lebanese sweets in Sydney, if not Australia. Walking into the store in Granville Road, you come face to face with massive trays displaying different types of baklavas, semolina cake, biscuits and candy. It’s a candy store for grownups. I was gawking at the sheer awesomeness. To purchase any of these goodies, you have to get in line (there is always a queue), and inform one of the ladies what you want. The pastries are sold at $24 per kg. I asked for a recommendation, and was suggested a 1kg tray of mixed baklavas or biscuits. 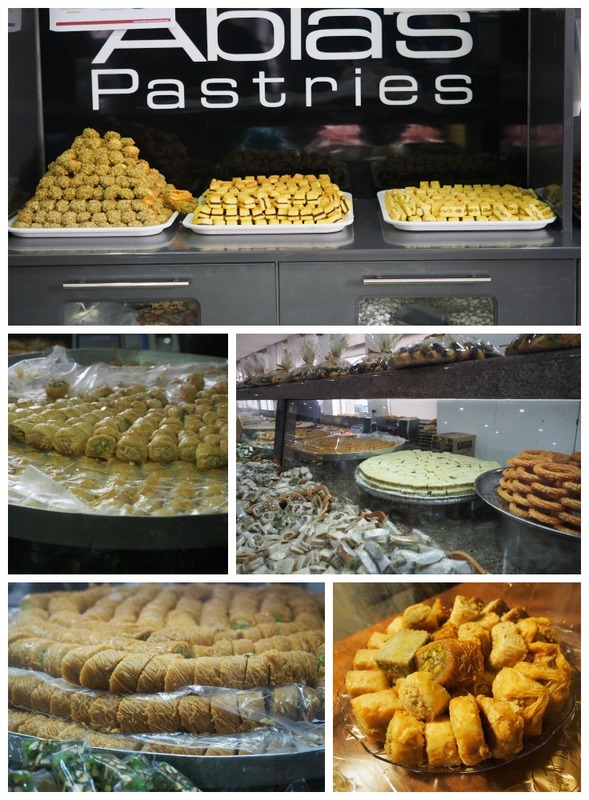 There are ready prepared 500g and 1kg trays of mixed baklavas and cookies. 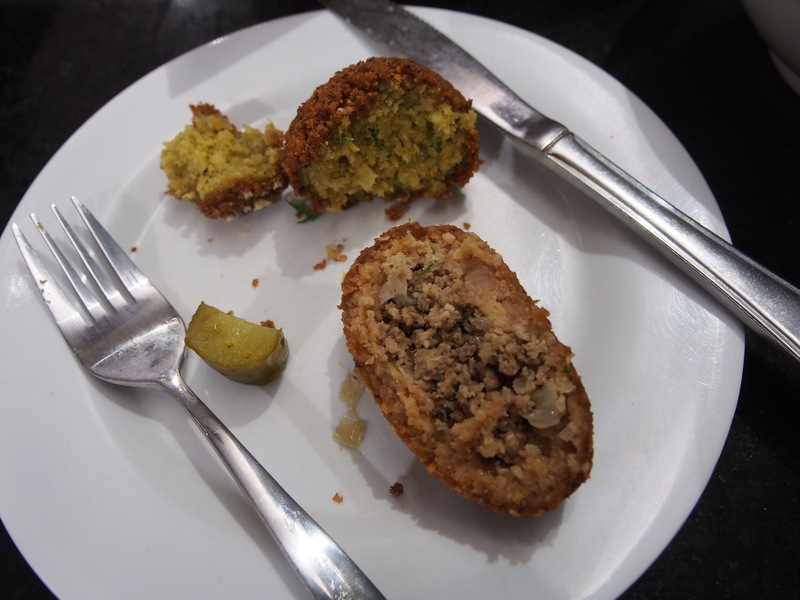 The baklavas came with either pistachio or walnut fillings, shaped into blossoms, cigars, diamonds and rounds. The 1kg tray lasted two of us a week, and seriously, these are the most amazing baklavas I have ever tasted. Not too sweet or heavy on the blossom fragrance, flaky and nutty. My favourite is the cigar baklava, and I am a fan of their shortbread biscuits. 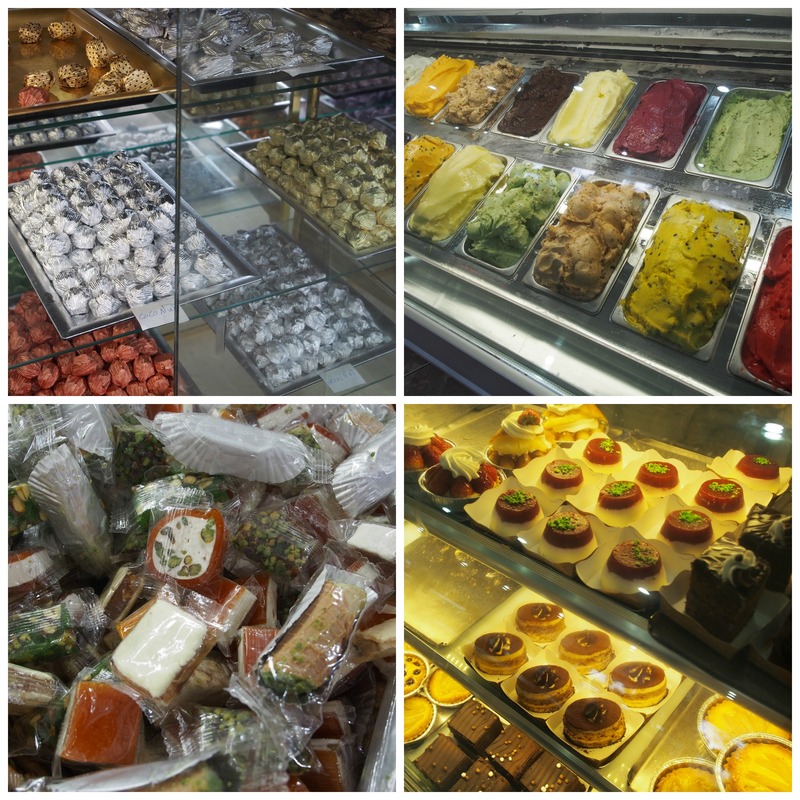 To top off the delicious pastries, there are also gelato, cakes, celebratory sweets (coated almond candies, foiled wrapped chocolates for weddings and births) and nougats. Abla’s is open everyday, from 7am to a red-eye 1am.